Jest to jedne z najpopularniejszych gatunków herbaty. Swą sławę zawdzięcza przede wszystkim łagodnemu smakowi, niezwykłym właściwościom zdrowotnym, a także ogromnej liczbie odmian. 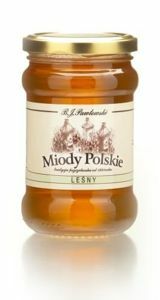 Dla chińczyków jest on synonimem słowa określającego każdą herbatę. 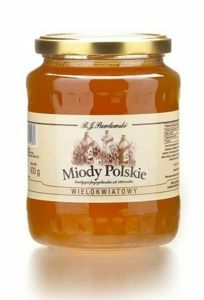 Tak – mieszkańcy Państwa Środka mówiąc „herbata” mają zawsze na myśli właśnie świeży napar z niepoddanych fermentacji zielonych liści! 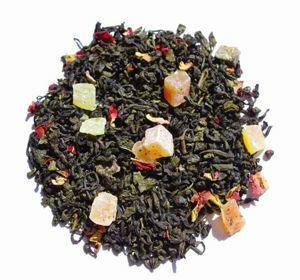 Ingredients: green Sencha tea, pineapple (pineapple, sugar, acidity regulator- citric acid), papaya (papaya, sugar, firming agent - calcium chloride), liquorice, sandalwood, red peppercorns, flavouring, Roman chamomile. May contain traces of nuts. 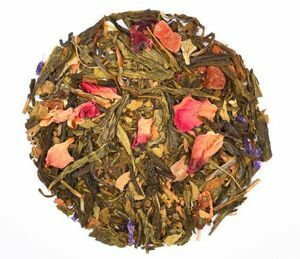 It is a very delicate and mild flavor Sencha green tea and white tea Snow Buds with the addition of rose petals, the leaves of the ginkgo, blue marshmallow petals and pieces of fruit: papaya, strawberries, pineapple, raspberries and natural flavour. 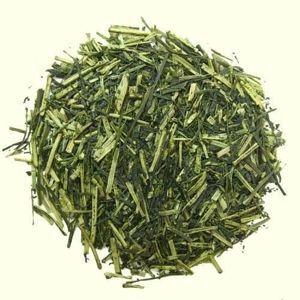 The name of this green tea literally means "precious eyebrows" and is associated with the unusual shape of the dried tea. Its preparation requires precise knowledge.Therefore, it enjoys gourmet widely recognized around the world. 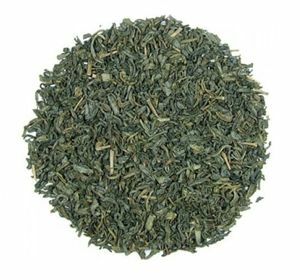 Classic green tea grown in ecological plantations in Lanxi. 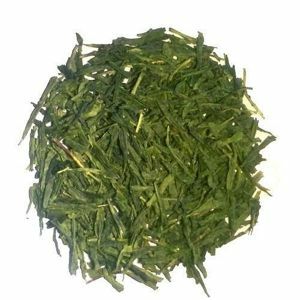 Its leaves are flatly pressed, slightly uneven and bright green. 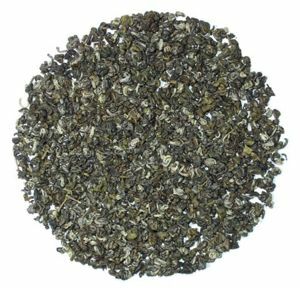 Lanxi Chi Shan Lake tastes fresh and has a bright infusion. It has an ECO certificate. 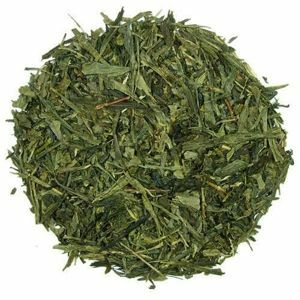 Sencha has beneficial effect on digestion and blood sugar levels and reduce fat. 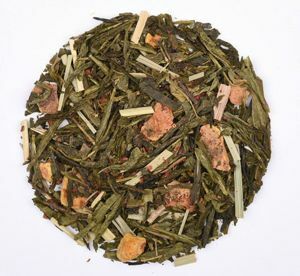 In addition, the antioxidants contained in this tea fight free radicals that accelerate aging. This tea is recommended to drink after meals. 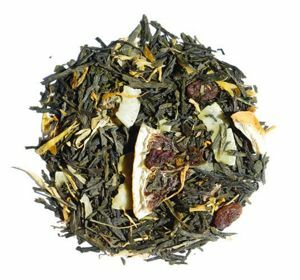 Ingredients: green Sencha tea, raisins (raisins, vegetable oil), lemon slices (min. 4.4%), flavouring, coconut (min. 2.5%), marigold. May contain traces of nuts. 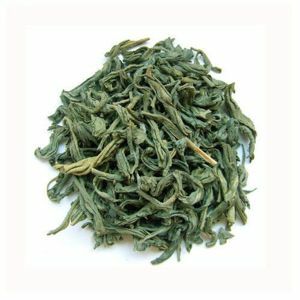 Green tea from the Yunnan province. Rich in fluoride, calcium and antioxidants - a very small amount of caffeine - this is a perfect choice for the evening. 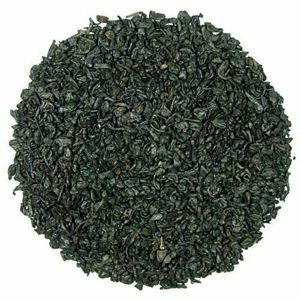 Gun powder green tea has a very characteristic, powerful flavor with a hint of bitter. 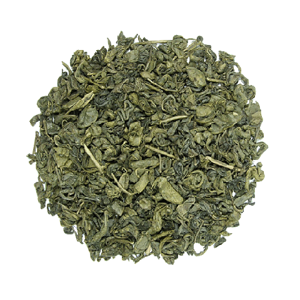 Curled leaves in the shape of balls develop during brewing and significantly increase its volume. Recommended for older people, adults and children. The youngest may be mixed with fruit juice. Has a calming effect. This is a very healthy tea. 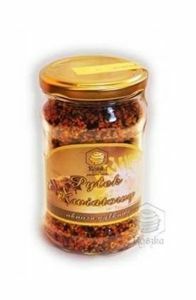 It helps fight the harmful cholesterol, is also used in anti-cancer prevention. It strengthens the heart and cleanses the body. 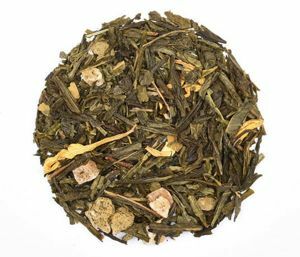 Ingredients: green Sencha tea, pineapple (min. 10%) (pineapple, sugar, acidity regulator- citric acid), melon (melon, sugar), flavouring, sunflowers. May contain traces of nuts. 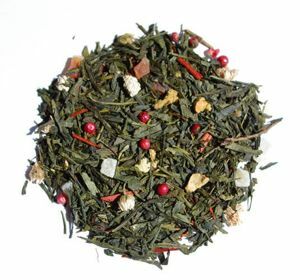 Ingredients: green Sencha tea, pomegranate (min. 10.3%), lemon grass, pomegranate blossom (min. 3.8%), flavouring. May contain traces of nuts.